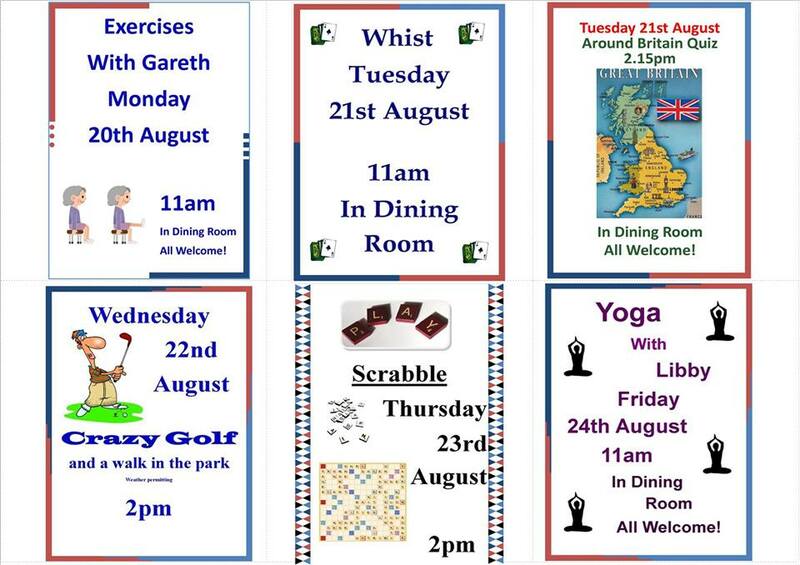 Cartref aims to encourage our residents to maintain an active and healthy lifestyle; we have dedicated activities staff who plan regular in house entertainment (including visiting singers, clothes sales, musicians etc) and trips to local attractions, theatres, cinemas or shopping. Each week our residents are invited to take part in personal training sessions run in conjunction with Elderfit ('Click Here' for more details), we also offer classes in Tai-Chi and Yoga in an attempt to improve balance, reduce falls and promote general mental and physical wellbeing. Residents are free to continue to pursue any hobbies or interests they may have and our staff are more than willing to help them achieve this in any way possible. 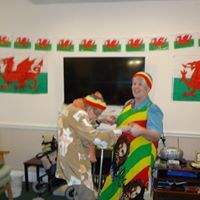 In addition our activities co-ordinators run quizzes, Easter bonnet competitions, card games, bingo sessions, arts and crafts and gentle exercise classes; there really is something for everyone.